Reading about demonic possession is enough to scare you away from ever using a ouija board. In fact, I’ve never played with one; growing up my strict religion would’ve prevented it in any case, and already as a child I’d been warned of the dangers. During my research for Nightmares with the Bible, I’ve been reading quite a bit about ouija. Originally a species of divination, the ouija, or spirit board, became popular during the growth of Spiritualism. Spiritualism is a religion based on the idea that the dead still communicate with the living, ensuring believers that life continues beyond death. It still exists, but not with the numbers that it boasted in the early days. Among the solemn admonitions of Ed and Lorraine Warren (about whom I’ve posted much in recent months) was that ouija boards opened doorways for demonic entities. Some of their stories are quite scary. Whatever else you can say about America, a fact beyond dispute is that if something can make a buck it will be marketed and sold. So it was with ouija boards in the 1970s. I remember seeing them on the shelf with other games at local department stores. Even then I knew they weren’t a toy and I wondered how anyone could be promoting them for general consumption. At Grove City College—that bastion of undergraduate conservatism—stories circulated about how students (usually coeds) were attacked in their locked rooms after playing with ouija boards. This is, I was later to learn, a staple of collegiate urban legends. At the time, however, I took it very seriously. Thus it’s strange when I find out that others my age were more curious about them. Recently at a party with friends around Valentine’s Day, the question naturally came up of how some of us met our spouses. One of the women mentioned that before she’d met or even heard of her future husband (who has an unusual surname) a ouija board spelled out his name. She later met and married him, not on the board’s recommendation, but she remembered that years before she’d been given a hint. Now these friends are not cheats and liars—they’re not even Republicans. They’re people we trust. On our drive home that night my wife mentioned she’d used a ouija board once, with friends, back in her high school years. She asked the name of her spouse (long before we met) and came up with Sam. I’m no Sam, but when we first met in grad school I was still going by my stepfather’s surname and my initials were S-A-M. Coincidence? Probably. My future wife did not pursue me; indeed, it was the other way around. Even so, there in the dark on the nighttime highway I felt a familiar frisson from childhood concerning a form of divination that seems to know more than it should. A few weekends back I watched the new Ghostbusters in the theater. Since tuition bills loom larger than life, it takes a powerful draw to get me to spend the money to see a movie in its natural setting. As my regular readers know, I loved it. Critics have tended to, well, criticize the movie, largely for its main drawing feature—the female leads. A thoughtful piece in by Colin Dickey in New Republic points out some of the unusual dynamics at play here. Looking at the history of Spiritualism as the basis for the modern interest in ghosts, Dickey suggests that women have been involved in the long-term fascination with the dead from the beginning. Their motive, however, was generally communication. Women wanted to relate with ghosts to make a connection. The original Ghostbusters movie represented a male, rationalistic approach to ghosts. As Dickey points out, instead of communicating, the men hunt and trap rather than trance and rap. Ghostbusters, in all three cinematic presentations, is for laughs. Sometimes classified as supernatural comedy, the film is meant as humor while, admittedly, leaving the door creaking open for some serious thought about the implications. In a reductionistic world there’s no room for ghosts. It’s not possible to say, scientifically, what they might be. From the perspective of traditional belief, however, ghosts are the lost spirits of the departed. Traditional Christian theology places the dead squarely in Heaven or Hell, and they shouldn’t be wandering around down here. That hasn’t stopped people from reporting ghosts. They’ve been recorded almost as long as there has been writing. Today “Ghosthunters,” arms defiantly crossed, use “science” to try to prove the entities exist. This is lightyears from the traditional seance. A ghost under a microscope isn’t very scary. One of the reasons I found the new Ghostbusters so compelling is that it managed to tiptoe that line between science and spirit that is so rare in the real world. The women, downgraded though they are in the story, are academics. They know, and experience, the dangers of taking haunting seriously. The movie is seriously funny. Like most truly funny efforts, there is a great deal of truth hidden in the humor. Dan Aykroyd’s cameo is one of the scenes that plays on its own loop in my head. “I ain’t afraid of no ghosts,” he says before he drives off toward Downtown. Women, in the film, have a healthy respect for the departed. Not exactly afraid, but not exactly unafraid, they handle ghosts as persons. This may be one of the points Dickey is making in his article. To understand a human one must be human. Spiritualist or Ghostbuster, women have always been superior guides to what is truly important. If only men could learn to listen. Ghosts have a way of persisting. I’ve had Valerie Martin’s The Ghost of the Mary Celeste on my reading list since I first saw it in hardcover on a bookstore shelf. The Mary Celeste was an actual ship, found with not a soul aboard, lifeboat intact, and no sign of violence, back in the 1870s. To this day no one knows what happened to the crew. Valerie Martin takes this frame and fills it in with a family drawn into Spiritualism, a religion that was just beginning at the time. Spiritualism, which developed in the aftermath of the Fox sisters and the eerie rapping at their upstate New York home, is one of the few religions to be completely at home with ghosts. The faith still exists today, and although Margaret Fox “confessed” to having hoaxed the effects she also retracted her confession, leaving ghost hunters perplexed to this day. These two mysteries, brought together in the moody month of November, make for a compelling novel that urges the reader forward. Martin also adds the presence of Sir Arthur Conan Doyle to the story. Doyle, an avowed believer in the spiritual realm, also created Sherlock Holmes. As the various characters try to piece together what happened to the Mary Celeste, the ghosts of those lost at sea ambiguously communicate with the living. The world between realms, in this story, is permeable but indistinct. Those lost at sea are, in the narrative, restless. The mood of the novel is unrelentingly moving and thoughtful. Ghosts haunt, but don’t appear. Readers are left to draw their own conclusions. As today is the fortieth anniversary of the sinking of the Edmund Fitzgerald, it seems appropriate to think about the Mary Celeste. Since Percy Shelley drowned in his own personal boating accident, loss at sea has become one of the hallmarks of Romanticism. Conceived as an answer to the cold, callus industrialism that trailed the scientific revolution, Romanticism suggested that there was an enchantment to nature and that things were not always as they seemed. Prosaically, there’s nothing poetic about dying in a violent shipwreck. That’s what makes the Mary Celeste so compelling. There is no violence here. The sea calls and claims captain and crew as her own. The lack of resolution has led to a very open-ended mystery—the perfect foil to a harsh materialism. Today the Mary Celeste and Edmund Fitzgerald will be sailing my internal seas as the season of spirits and shipwrecks come together in the lengthening nights of November. Having no control over where we’re born, people nevertheless often feel a connection with their native region. My family had no roots in western Pennsylvania, and the consensus on why we ended up here focuses around jobs. My grandparents settled here because of a job. While working here on a job my father, from the south, met my mother. My brothers and I all consider ourselves Pennsylvanians. One of the places we liked to visit as children was Drake Well. 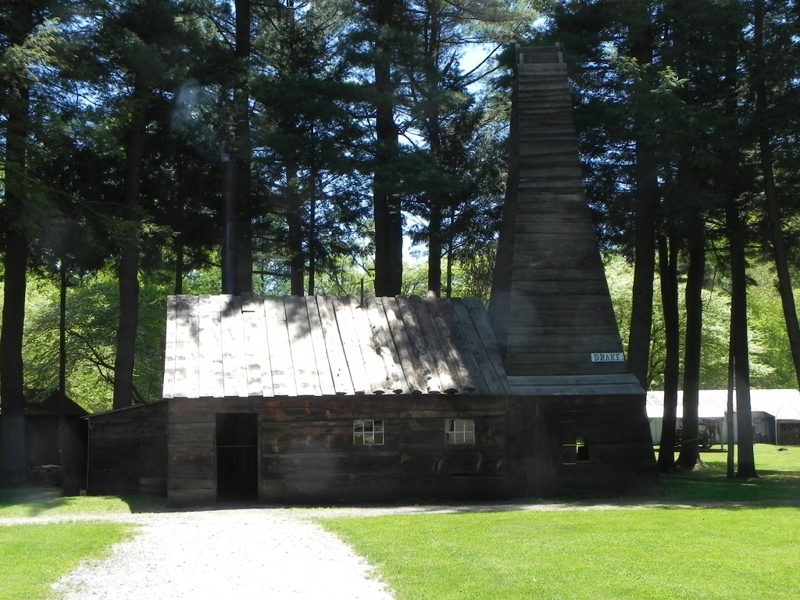 We knew that the oil industry began in western Pennsylvania, and we knew that famous people like George Washington had traveled through the region during the various wars of the nation’s early years. The towns where I grew up are not exactly affluent, and one of them seems in danger of becoming a ghost town. Drake Well, however, the birthplace of commercial oil, still draws visitors from the region and from around the country. On a recent visit to the site, I was interested to see how religion interplayed with petroleum in Victorian Era western Pennsylvania. Among the displays was one showing the various means used to find oil. In the days before geological surveys, finding something hidden underground required more than just technical knowledge. More precisely, it often utilized different forms of technology—some scientific, some not. Dowsing was popular, and spirits were consulted. Access to the supernatural world was not uncommon. The oil industry really took off during the same era that spiritualism began to become popular. Religion and science co-existed in a way that is difficult to imagine today. Indeed, Drake Well was established in 1859, the same year Darwin’s Origin of Species was published. The means used to reach the oil were, however, unabashedly scientific and technical. Nitroglycerin fatalities were just another fact of life. Looking over the triumphal displays about fracking, it became clear that in the realm of petroleum production the spirit has made way for a technology with unknown consequences. The museum at Drake Well is pretty straightforward that other energy forms pose a threat to an industry that was, and currently remains, massive. We have technologies that can utilize cleaner forms of energy, but powerful oil interests have maintained the focus on more and more invasive ways to keep things going the way they are, pulling in more profits while the limited supply lasts. We know petroleum will run out. We’ve deeply integrated it into our way of life and instead of looking ahead to the next step, we’ve been reaching back to pad our fat pockets. Gone are the dowsers and spiritualists and in have charged the corporate executives. And in western Pennsylvania, the towns where the industry began struggle to stay alive as thinking that allowed for spirits has acquiesced to that which has loyalty to Mammon alone. In America’s political climate any book about Darwin takes on a religious cast. As strange as it may seem, an odd equation exists between Darwin, evolution, creation, and the Bible. We forget that Darwin was a retiring man with many interests and a very keen intellect. Erstwhile groomed for the clergy, he lived at a time when much of the world was known really only to the local inhabitants, and observations were still mostly made by the human eye in person. So it was that as photography developed, a new avenue into science opened up. 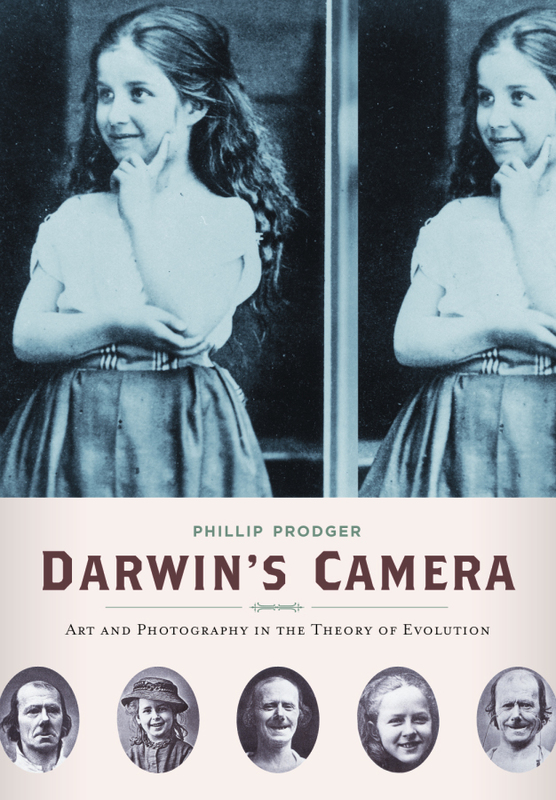 Darwin’s Camera, by Phillip Prodger, is a rare look into, as the subtitle says, Art and Photography in the Theory of Evolution. Darwin wrote several books. Among them was The Expression of the Emotions in Man and Animals. This book was among the first scientific tomes published with photographic evidence to illustrate, if not prove, the points being made. Prodger takes us through the process by which Darwin procured and commissioned his photographs for the book and reveals some deeper truths about his life. Interestingly, one of the sources of early photos was asylums. There was a belief, apparently, that photographs might be used diagnostically. One of the emotions that was presented to Darwin for his consideration was religious rapture. (Not that I can make any great claims here, but having experienced at least mild versions of such states—whatever their physiological cause—I know that they are powerful.) The observation comes through that religious rapture is difficult to distinguish from insanity, on the face of it. This may sound like an anti-religious slur, but it’s not. Ask around the mystics and you’ll see what I mean. Sanity has its uses, to be sure, but mysticism is all about letting go. The only real religion in this book comes in the confrontations to Darwin’s evolutionary theory. Prodger does, however, briefly delve into Darwin’s late (and brief) concern about spirit photography. Shortly after cameras were developed, photographic tricks evolved. The Victorians, as we all know, had a very palpable sense of death’s nearness. It is no accident that Spiritualism developed during this time period when a reasonable lifespan was anything but assured. Spirit photographers claimed to capture ghosts of the dead revisiting the living. Darwin, who’d lost a beloved daughter prematurely, knew what grief was. He did not, however, allow it to interfere with his critical thinking. Photographs could be used to prove a point, but they could also be used to make a false claim. Darwin’s success in his book on emotions falls somewhere in the middle. He did have to have some staged shots to illustrate his point. Ever the gentleman, however, Darwin’s decisions were made to enlighten, not to deceive. One wonders whether creationism can even remotely make that same claim. 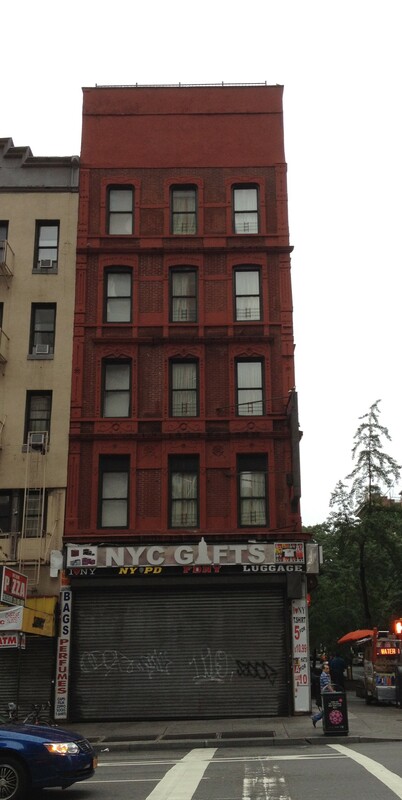 In a seedier neighborhood of Midtown stands a five-story apartment building that would be easily overlooked on an ordinary day. Back in the late nineteenth century an investigator of the Lincoln assassination, and lawyer, by the name of Henry Steel Olcott began to meet in this apartment with a Russian mystic who came to be known as Madame Blavatsky. Their base of operations was call the Lamasery. The “religion” that resulted from their collaboration came to be known as Theosophy. I remember distinctly when I first learned of Theosophy. I was attending an academic conference and as I passed along the bookstalls I noticed the Theosophical Society with their table of wares. A newly minted doctor of philosophy, a nagging worry sprung up in my head: was this a form of philosophical thinking that I should’ve learned about? Had I somehow forgotten lessons on Theosophy? Should I rush back to the library (this was before the Internet, let alone Wikipedia) and find out what Theosophy was? Well, I did make the effort and soon learned that it was considered an occult group and therefore I need not concern myself any more. What I hadn’t fully realized is that although Theosophy did indeed integrate some elements of the Spiritualist movement, it was in many ways America’s introduction to Buddhism and Hinduism. America in the nineteenth century had some experience of Islam, but generally the only religions that were widely recognized were Christianity and Judaism. Anything else sounded occultish and vaguely heathen. Olcott and Blavatsky raised awareness that religions elsewhere in the world did not necessarily conform to American tastes. There was more to religious belief than met the eye. Some of us have been dragged into the electronic age kicking and screaming. Our apartment at home is full of books, and they are made of paper, not plastic. In college, some of my friends and I vowed we would never use computers—harbingers of a cold, new age. It was a vow I kept until working on my doctorate (pretty much). Despite keeping this blog, I really have very little native intelligence about the world of circuit-board, integrated circuit, and chip. I would probably be the last person to have thought to ask for an iPhone—I frequently forget to take my cell phone with me, and when I do, I sometimes neglect to turn it on. So I was stunned to find an iPhone with my name on it yesterday. I looked at it like an alien baby, wondering what it might eat. As the day wore on, however, I started to see some of what it might offer. Siri, the software personal assistant for iOS, responds in a friendly voice to questions asked. “She” (and you can’t help personifying her) is like a personal portal to the mind of the Internet. You want a pizza? Siri knows the location of all the places in your neighborhood that deliver. You wonder what the most recent nation in the world is? Siri will look that up for you. (South Sudan, as of yesterday, according to her sources.) My brother-in-law, intrepid with electronics, and knowing my background, asked Siri about God. She replied, “Humans believe in spiritualism. I believe in siliconism.” Someone at Apple clearly has a sense of humor, but the more I began to parse this statement, the more I realized Siri could use a personal assistant in the religion field. Spiritualism is not the same as spirituality; the former is the belief in ghosts and the religions that accompany that belief, such as Theosophy. Clearly in an American market, any product that denied belief in God, even by implication, would become the product of a witchhunt. The sad image of heaps of iPhones being melted as leering evangelicals look on is disturbing but unfortunately easy to conjure. Best to program Siri to deflect any potential ire with humor. The second component of her pithy reply is siliconism. As a religion, it is clearly underway all ready. Who reading this blog can imagine life without electronic media? Be honest! What does a computer believe? Do androids dream of electric sheep? Does Siri say her prayers as she’s being shut down for the night? What does it mean to believe? So now I have an iPhone. The day before yesterday I couldn’t find my app with both hands. Now I have a personal religion consultant. I suspect I’ll be starting a new religion by the end of the day—the First Church of Christ, Programmer. Its headquarters will be wherever a true believer is located at the moment, as long as s/he has an iPhone. Blackberry users will, of course, be considered heretics.